Fisherman’s condos is situated on the east side of Fisherman’s Village opposite the Waterfront Hotel in Bophut, in the north of Koh Samui. The building offers deluxe studio condo and one bedroom condos, some have a balcony or terrace. The condos are fully furnished and include crockery, cooking utensils and bed linen. Rental guests are welcome to use the pool and the beach of the Waterfront Hotel just across the street. While located on the peaceful side of the village, it is just within a 2 minutes’ walk to lots of fantastic restaurants, bars and little shops. 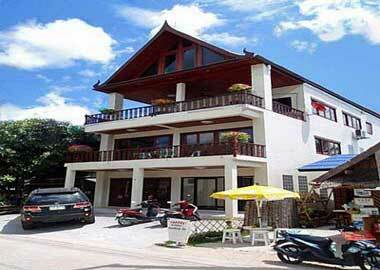 Fisherman’s village is only 10 minutes by car to Koh Samui Airport (5km). There is also a ferry pier 5 minutes walk that goes to Koh Phangan, Koh Tao and Ang Thong marine park. An extra bed and a cot can be arranged, The cost of an extra bed is 500 Baht per night for adults and free for children under 14 years old. Access to the beach and free use of pool at nearby Hotel. We can arrange bike and car rentals. Airport transfers can be arranged on your request. 01. Mai - 14. Jul. / 01. Sept.- 21. Dec. ask for rate 15. Jan. - 30. Apr. 15. July - 31. Aug. 22.Dec. - 15.Jan.